The 2018 edition of the JK Tyre FMSCI National Racing Championship will begin this weekend, July 6-8, at the Kari Motor Speedway in Coimbatore. The most notable development this season is the addition of an all-women's team to the LGB Formula 4 category. The six ladies have been selected after a nation-wide talent hunt and will represent Ahura Racing. They will be led by Manisha Kelkar, an actress from Maharashtra who is the celebrity drivers. They will compete alongside 25 other drivers including last year's champion Chittesh Mandody from Avalanche Racing and former winner Vishnu Prasad (MSport). Another entrant who is expected to do well is last year's second place winner Sandeep Kumar of Dark Don Racing. The Euro JK 18 category will see 11 drivers compete in four races over the course of the weekend. With defending champion Anindith Reddy graduating to international racing, last year's third-place finisher, Nayan Chatterjee, will begin as the favourite. The first female driver in this category, Mira Erda, and teenagers Yash Aradhya and Nirmal Uma Shankar are expected to be completive here alongside experienced hands like Sri Lanka's Bryan Perera and Manav Sharma. The other races happening this weekend will take place in the Suzuki Gixxer Cup and the Red Bull Road to Rookies Cup, both motorcycle championships. 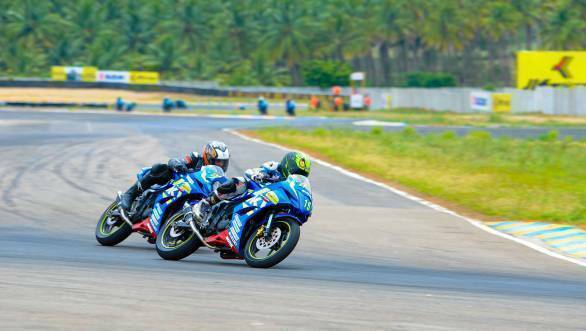 Joesph Matthew from Chennai is expected to continue his dominating form from last season in the Gixxer Cup. Sachin Chaudhary of Ahmedabad and Malsawmdawngliana from Aizawl are expected to be competent challengers. The Red Bull Road to Rookies Cup will see youngsters in the 12 to 16 year age group compete earn themselves an all-expenses paid trip to Spain to represent India at the red Bull Rookies Cup. With seven out of the nine riders coming from Aizawl, this event will see commendable participation from the North-East. 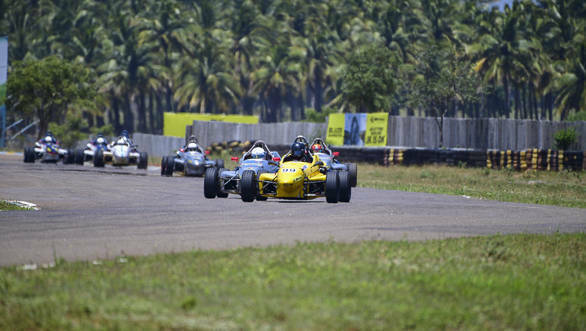 Round 1 - July 6-8 - Kari Motor Speedway, Coimbatore. Round 2 - Aug 31-Sep 2 - Kari Motor Speedway, Coimbatore. Round 3 - Oct 12-14 - Kari Motor Speedway, Coimbatore.